Will McKnight is an Augusta, Georgia native who graduated from Georgia Tech in 1979 with a Building Construction degree. His McKnight Construction career started during high school summers as a field employee, and he has since worked a variety of roles in the company. With more than 35 years of experience, Will offers an extensive knowledge of construction as well as countless contacts in the industry. Now working as President of McKnight Construction Company, Will serves as Senior Project Manager on every job done by the corporation. He visits each jobsite regularly to stay connected with his people and ensure that McKnight’s standards are upheld in all phases of the project. McKnight Construction prides itself in being a company that treats all employees and clients like family, and Will works daily to maintain those positive relationships. Will also takes time to stay involved in the community. He currently serves on the Georgia Ports Authority and on the Board of Directors of State Bank and Trust. 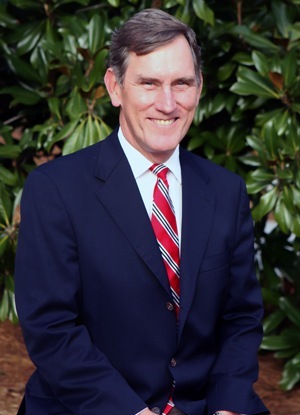 Will is a member of the Augusta Exchange Club, an active member and volunteer at Trinity on the Hill United Methodist Church, and former President of Augusta Country Club. Recently, Will has served on the Board of Directors for Association of General Contractors, and he continues to stay involved with the Construction Industry at a state and federal level.